Make a great first impression. Order C.H. 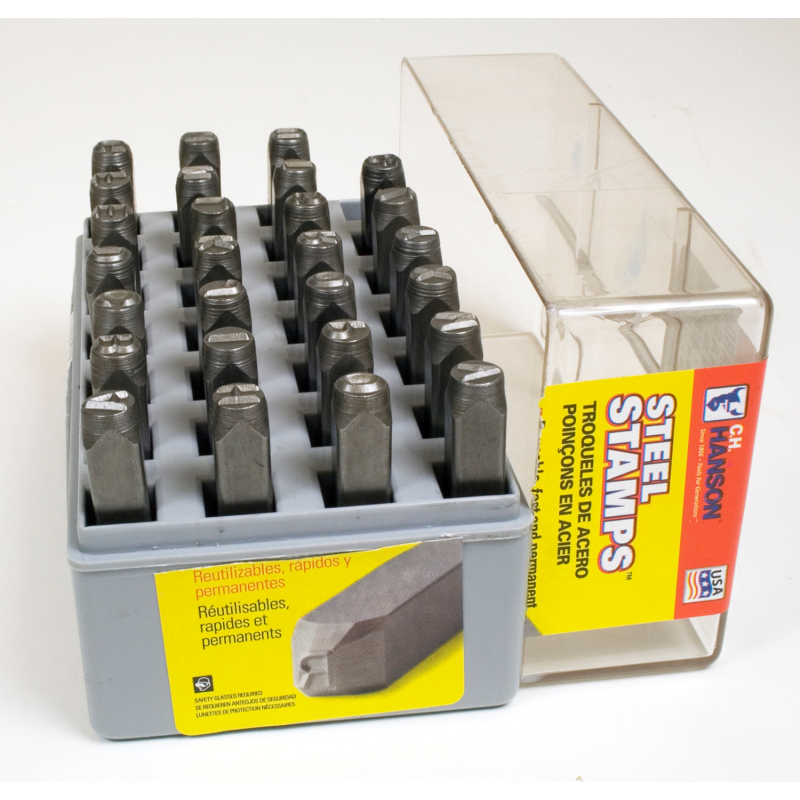 Hanson standard steel stamps to put a mark on a variety of surfaces, from wood and plastic to leather and brass. Quality, crowned surface leaves a perfect imprint. Great for locksmiths, blacksmiths, and plumbers. 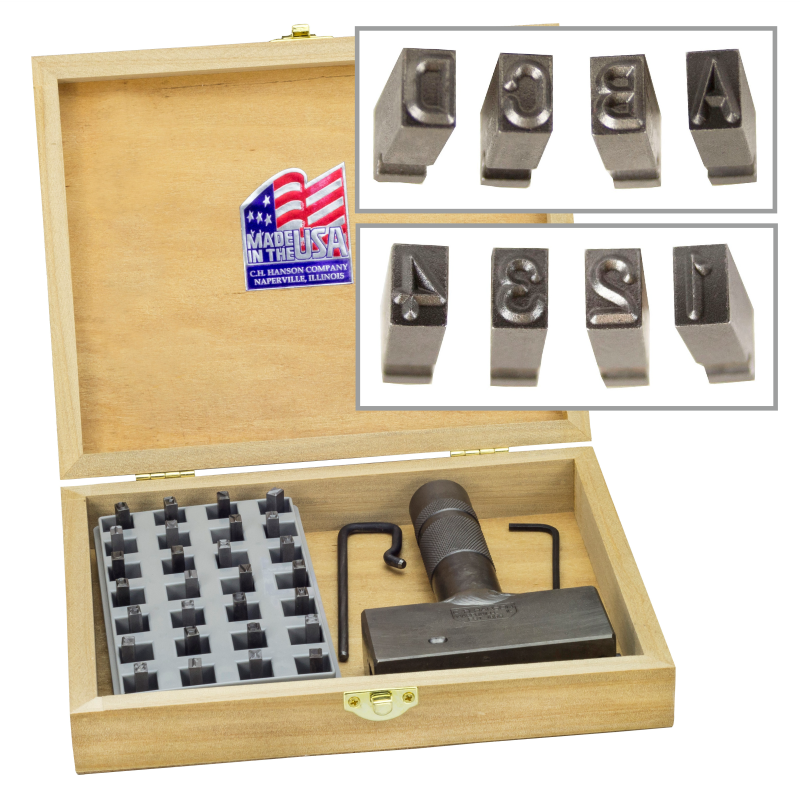 • This stamping equipment is also useful if you're crafting and need stamps for woodworking, marking jewelry, embossing leather, or making invitations. 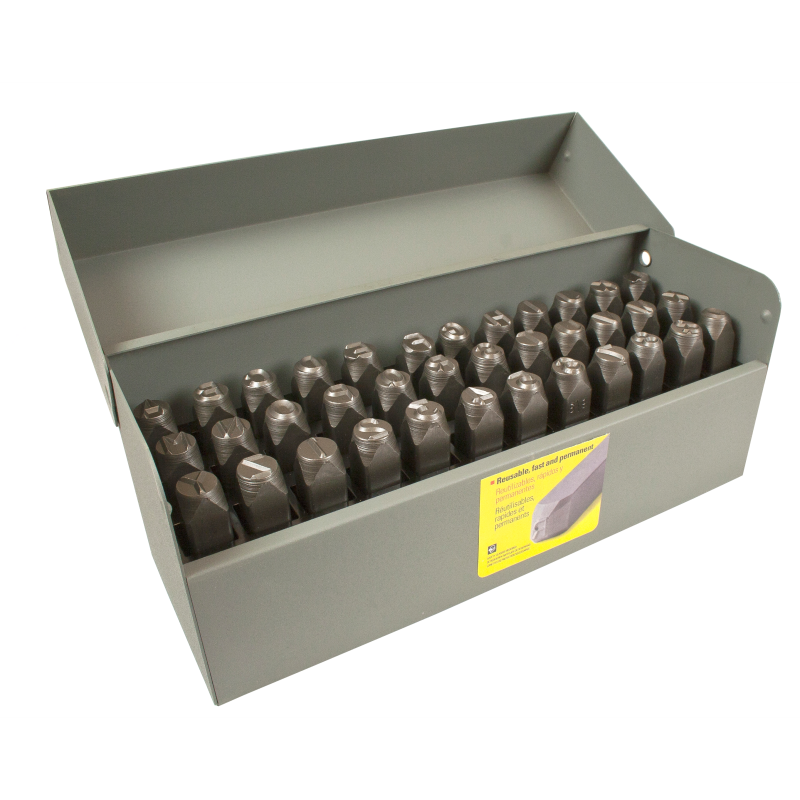 • Steel stamp sets are packaged in a durable, plastic or steel storage container, so your stamps will arrive in great condition. • The full type kit includes a holder, steel stamp selection, and blank spaces, all in a C.H. Hanson professional wooden box. A 40-piece set, including A-Z, 0-9, a dash, and 3 blank spacers. 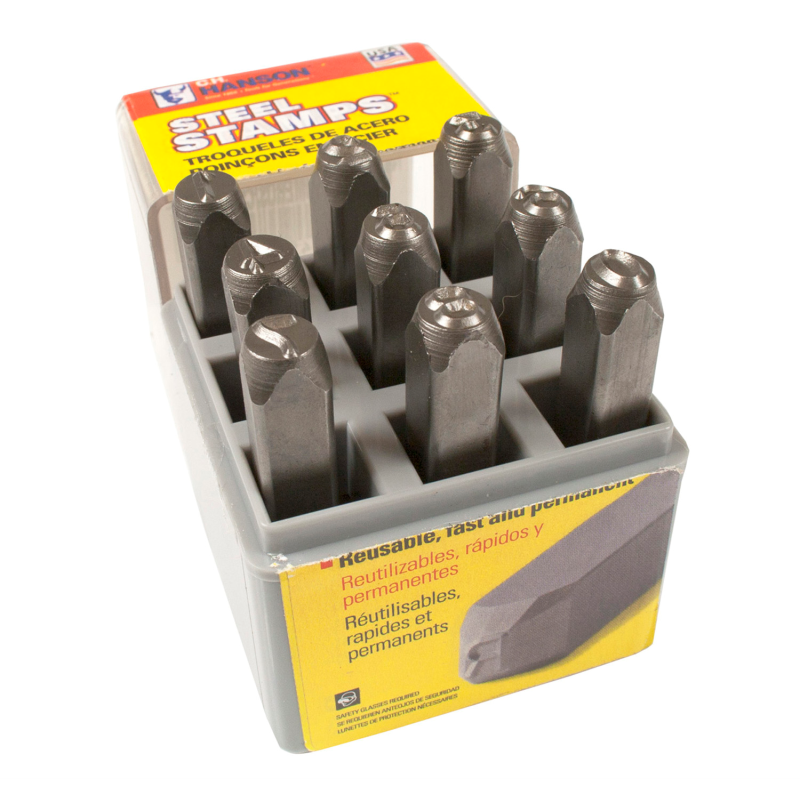 Insert stamps into the type holder to mark initials, codes, or a whole phrase at once. Great for handheld use. Choose from number set (0-9), an alphabet set (A-Z and &), or a 36-piece combination set with letters and numbers.